There are many different laws or rules and regulations regarding various things in our society. All of these are aimed at trying to provide justice and ensure that people spend their lives by fair means. Moreover, they also try to minimize corruption and ensure equitable lives as far as possible. The latter refers to all those tax laws that ensure that those who earn above a fixed amount are subjected to a greater tax. Moving on, there are some laws regarding employment tax that we shall now discuss. Two such laws that require the filing of certain clauses in a form are the 941 and the 942. They have slightly different clauses and situations to which they apply. To be more precise, the Form 941 employment tax is an employer’s federal tax return that has to be paid quarterly. It applies to employers who withhold or interfere in some other way with the income taxes, Medicare taxes and/or social security taxes of the employees. This may be done by making changes to the pay checks by which the employees are paid. Moreover, it also applies to the employers who must pay part of the social security or Medicare tax and hence use the Form 941 in order to report these taxes. The form 941 includes certain reports and quarterly calculations such as some adjustments for tip, sick pay, adjustments for under or over payment, calculation of the amount that is due in payment by the employer, calculations of the amount due from security wages and medical wages that are taxable (which include both from employees and employers) as well as an estimation of the amount that has already paid by the employer, which could be on a monthly basis or a semi weekly basis depending on the number of employees and payroll size. As mentioned, form 941 is due on a quarterly basis that is after every quarter, the form is due at the end of the month that comes after the end of the quarter. For example for the first quarter of the year 2015 that ends on 31st March the form is to be submitted on April 30. If, for example, the due date falls on holiday or a weekend, you need to submit it on the very next business day. As opposed to this, the form 942 is the employer’s quarterly return (tax) for household employees; was used in the past and has been replaced now. The last time it was used, the year was 1990 and it was used with the income tax returns. It was then replaced with the Schedule H (or the Household Employment Taxes) which had to be filed if you paid wages of at least a thousand dollars in any particular quarter to report and hence pay the FUTA, that is, Federal unemployment tax. If only household workers are employed then form 941 need not be filed. However, this means that it is essential to file the Form 942. Therefore, those employees that are required to withhold monthly or quarterly (but excluding EFT filers) are supposed to file the 941. In contrast to this, the employers who use EFT to remit are supposed to file the form 942.
allana. 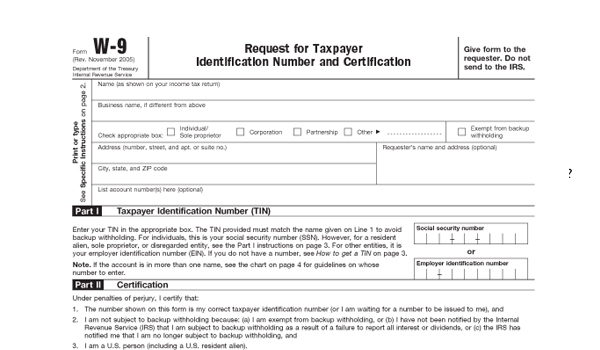 "Differences between form 940 and form 941." DifferenceBetween.net. October 28, 2014 < http://www.differencebetween.net/miscellaneous/legal-miscellaneous/differences-between-form-940-and-form-941/ >.